A facility staff member receives a reminder from the ILS Gateway to count and report stocks in her facility. In Tanzania, availability of high quality logistics data has been one of the greatest challenges facing the health care system. Without this data, decisionmakers cannot adequately manage the supply chain, risking the possibility that patients won’t receive the medicines they need. 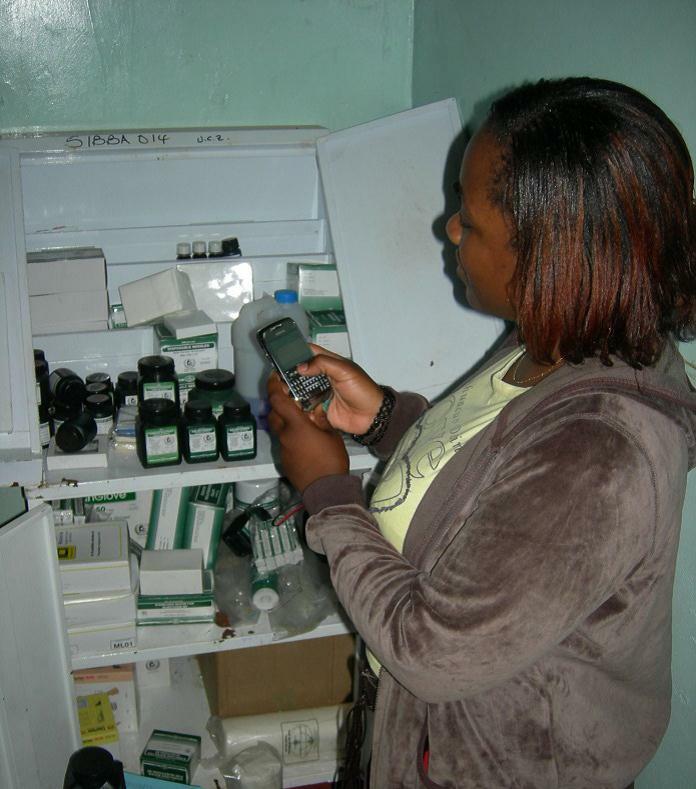 Before 2005, the health care system in Tanzania was made up of a number of parallel systems for restocking health care facilities with the supplies needed. This plethora of systems was chaotic; each cluster of facilities had separate procedures for ordering supplies from the Medical Stores Department (MSD). However, the successful implementation of an integrated logistics system (ILS) by the Ministry of Health and Social Welfare (MOHSW), with technical support from the USAID DELIVER PROJECT, addressed the havoc by putting one system with a single set of procedures in place. With the ILS in place, health care facilities—including dispensaries and health centers—can now effectively order products based on their needs and budget. The ILS was a major step towards keeping Tanzania’s health facilities supplied, but stockouts remained high. Facility-level data was not available for decisionmaking; even district officials did not have access to stock status data, leaving them with little information to use for making decisions. In response to this problem, the USAID | DELIVER PROJECT worked with the MOHSW to establish the ILS Gateway. Created to enhance supply chain decisionmaking, the ILS Gateway is a mobile health alert and reporting system designed to increase the visibility of logistics data and improve product availability. The system was developed with an eye on sustainability, requiring health facility personnel to use personal cell phones to send logistics data via text message (SMS) to a toll-free number. This data is then transmitted to a website that analyzes and displays the information. A pilot program using the ILS Gateway began in November 2010 in Mtwara, Tanzania. The pilot began with an initial commodity list of six reproductive health commodities products, later expanded to 20 tracer commodities identified by the MOHSW from a number of different health programs. The project conducted a qualitative and quantitative pilot review workshop attended by users from the facility, district, and central levels to evaluate system functionality and impact. Of the 29 facility users that responded to the survey, 93 percent felt that ILS Gateway improved their diligence in conducting a stock count on-time. In addition to that, 93 percent indicated they are more likely to submit their report and requsition forms to the district on-time as a result of the alerts provided by the ILS Gateway. Eighty-eight percent of 17 district respondents said the tool has increased attention to the management of a list of 20 reproductive health commodities in their districts. A majority of the district users surveyed (94 percent) responded that ILS Gateway has improved the timeliness with which they receive report and requisition forms. Overall, 45 percent of facilities indicated an increase in tracer product availability through the use of ILS Gateway. In the post-pilot phase, the project and the MOHSW are working to instill a data culture and build requisite computer skills among health workers, particularly at the district level to improve their ability to access data generated in the ILS Gateway. Moving forward, the project and partners hope to link this mobile health logistics system to other automated health systems being developed by the USAID | DELIVER PROJECT and its partners. As logistics data visibility improves, decisionmakers and health workers at all levels will be able to improve the availability of health commodities in Tanzania.